Dr. Heidi Ward received her D.V.M. from the Ohio State University in 1989. She completed an Internship at Veterinary Specialists of Connecticut and a Residency in Small Animal Internal Medicine at the University of Florida. Her strong interest in Oncology led her to pursue a second residency in Clinical Oncology at The Ohio State University where, after completing her oncology residency, she joined the faculty of the small animal Internal Medicine service there. 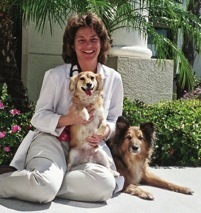 Dr. Ward became a Diplomate of the American College of Veterinary Internal Medicine, Speciality of Oncology in 1994. She has received numerous awards for excellence in clinical oncologic research.